Naturally composting waste, providing an organic matter that enriches soil and even supplying hobbyists and fisherman with live bait. These are all reasons for worm farming. Taking care of the worms in a worm farm is typically quite easy but there some guidelines to follow. Proper feeding is important for the health of the worms. 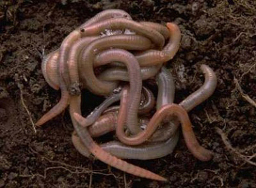 Worms are fed a variety of food items, and nonfood items, for composting. Some food items that can be offered are fruits, vegetables, greens, bread products, cereals, tea bags, coffee grounds and filters and egg shells. The worms will eat just about anything so it is imperative to know which foods are appropriate and why. Fruits and vegetables are easily composted by the worms. The important thing to remember when serving fruits and vegetables is the size of the portions. Fruit pieces should be cut down to 1/2 inch pieces or slices. Smaller pieces will be consumed more quickly. Food blended up with water will also help the worms find the food and consume it faster. Fruits and vegetables are highly nutritious. Worms that are fed an appropriate diet will in turn produce a nutrient rich substance that is beneficial to crops, gardens, flower beds and even indoor flower pots. Some nonfood items that can be offered to worms for composting are paper products, cotton rags, hair clippings, leaves and soaked cardboard. A pizza box that has been torn up and soaked is a wonderful treat for worms. 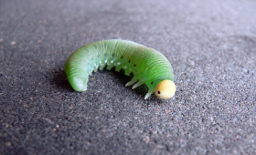 When offering leaves to a worm farm, be careful to only use products that have never been treated with chemicals. For the safety of the worms, grass clipping and other yard clippings should be avoided in case chemicals have been used. While there are many foods that can be offered readily, there are also those that should be avoided. Care should always be taken with items that have been treated with chemicals, medications or other substances that may prove harmful. Meats should never be offered to the worms in a worm farm. Being voracious eaters, the worms will gladly consume whatever meat is offered. The problem with meat is with the pests it will attract. Flies and maggots will be found in a worm farm that uses meat and the best way to eliminate these pests is to eliminate the use of meat. Citrus fruits, onions and garlic should not be used either. The worms appear to find the smell of these items offensive. Most worms will try to escape the bin to get away from the smell. Dairy products will also attract unwanted guests into the worm farm. Another problematic issue with serving dairy products is the foul smell that is emitted as it rots. Feeding worms is a pretty easy job. 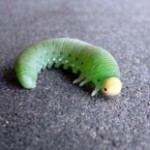 The key is to know which items are good and which are bad for the health of the worms. Another point to remember is to not over feed. 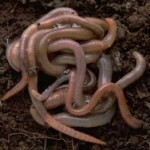 New worms should be fed in small amounts when they are becoming established within the farm. Once settled, the amount can be increased over time. Over feeding leads to problems such as foul smells and pests. Keep feeding down to a minimum, offering new food only when the old food supply is running low. Worms can eat over half their body weight in food per day. The worm population can double every few months. Overfeeding can cause a problem but keep an eye on the population as well to be sure that underfeeding isn’t an issue. A well fed worm population is a happy worm population. Happy worms produce a lot of naturally composted, healthy worms castings for soil enrichment therefore keeping the worm farmer happy as well.